In today’s ever-changing and increasingly globalised business environment, it is critical for tax professionals to not only to be up-to-date but also to be equipped to advise their clients on complex and dynamic business transactions. To be the best, tax advisers have to be curious and innovate, think on their feet, and synthesise large amounts of information in order to provide the right technical advice in a way that adds real value to their clients. The internationally recognised Chartered Tax Adviser (CTA) designation proves they can do this. 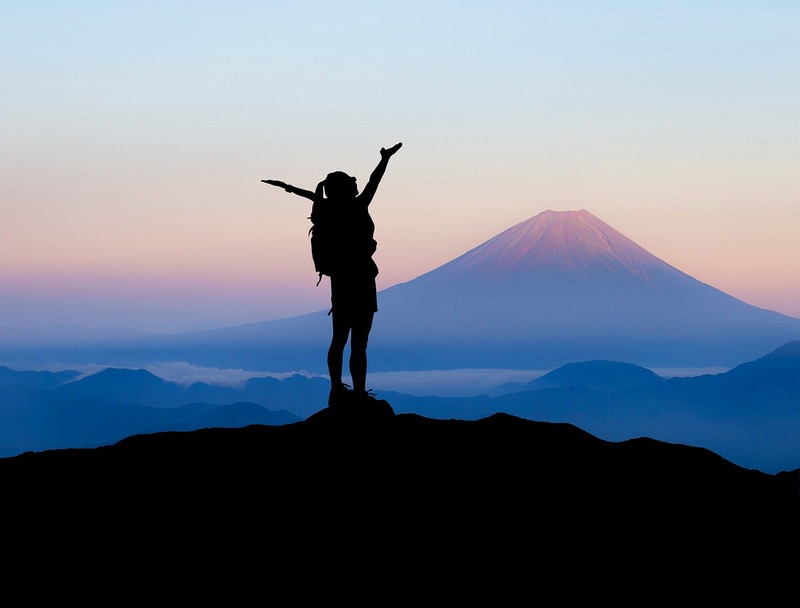 Chartered Tax Adviser status is achieved through completion of the Chartered Tax Adviser (CTA) Program, comprising CTA1 Foundations, CTA2A Advanced, CTA2B Advanced and CTA3 Advisory. Candidates may be eligible for recognition of prior learning in respect of the Chartered Tax Adviser Program if they have already completed study at another institution. CTA3 Advisory is structured to recognise self-directed adult learners and supports them through opportunities to research the law, assimilate and synthesise information and exercise professional judgement to develop and communicate the advice that is most helpful to the client. Using example case studies and through facilitated group discussion and debate around a range of areas of the tax law including capital gains tax, trusts, international tax, goods and services tax and corporate tax, candidates practice honing their skills in preparing relevant, commercially sound and value-adding client advice. Simulated client scenarios enable the development of problem-solving and communication skills through in-depth case study discussion sessions. The case studies are designed to drill down to the practical issues of applying relevant tax law to the client’s commercial setting. This enables candidates to appreciate and learn tax law in its dynamic application rather than as a set of abstract rules alone. It mirrors the skills used by leading tax professionals to stay at the forefront of the profession and help candidates develop their careers. Candidates choose from a range of assessment scenario options, research the relevant law and prepare advice to for the client based on that scenario. Under exam conditions, candidates are required to amend this pre-prepared advice to take account of supplementary information provided on the day, just as a client might in real-life. Education: Stand out from your peers with an internationally respected Charted Tax Adviser (CTA) designation. 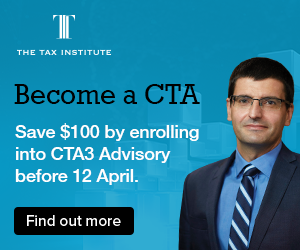 Save $100 in you enrol in CTA3 Advisory before 12 April. Employers and clients want confidence from knowing that their tax adviser has the right knowledge and skills to support them effectively and add real value to their business. Evaluating potential alternative solutions and providing logical, reasoned support for the conclusions and advice provided. Face-to-face (study period 1 – 24 weeks) - attend lectures once every 2 or 3 weeks at CBD venues in mainland capital cities, and some regional locations (subject to minimum numbers). Distance (study period 1 – 24 weeks) - experience the benefits of peer discussions through four group teleconference sessions during the study period. Intensive (study periods 2 & 3 (both 12 weeks)) - delivered face-to-face, immerse yourself in the course content and group discussions over two consecutive days of compulsory lectures at a Sydney CBD venue. Assessment-only (all study periods) allows you to apply your in-depth tax knowledge and client advisory skills you already possess to accelerate your studies by progressing directly to the CTA3 Advisory assessments. Success in the CTA3 Advisory exam satisfies the educational requirements to be eligible to obtain the CTA designation which in turn provides eligibility for 6 units of credit, in recognition of prior learning, towards a Master of Tax from the University of New South Wales. Clients need tax professionals to apply their technical expertise innovatively but within the confines of the law to add value to them and their business. Rising to the CTA3 Advisory challenge will help them to do that.